In this article I'm going to dissect the most popular coins with an enterprise "platform" focus. These are coins with a high market cap that enable other projects to build on top of them, attracting a wide range of partners and collaborations. To understand the market for these platform coins let's take a look at the behaviors observed in the previous bear market. By the end of the bear market that subsequently brought about the first bull run only a few of these coins remained, out of around fifteen that were listed on Coin Market Cap, meaning many dropped out entirely before they experienced the bull run. NB: End of Bear market - Start of Bull market by the years; 2011, 2013-early, 2013-late, 2017. Similarly, the second and third bear market was also another time for a shake off. Some tokens were displaced down the list, others climbed from obscurity to limelight, some ceased to exist. NB: Every time there is bull to bear/bear to bull transition the increase or decrease is usually geometric as those coins that were undervalued grow rapidly, while those overvalued decrease rapidly in their market cap and popularity. Most of the time the decrease is due to the rise of a better, more efficient alternative solving the same problem. This is when projects with good fundamentals get the attention that they deserve. It is not news that the crypto market is currently experiencing the fourth bear market (We are less than 25 days away from being a part of the longest BTC bear market in history), which means a bull run is imminent even though no one can say when it will begin. There is so much to write about Ripple. Ripple(XRP) like HYDRO(Tide) is a payment solution. Ripple has been in the market since 2014 and has tested the position of 2nd highest market cap several times starting from January 2018 when it grew to a market cap of about $130B. Ripple's interledger protocol allows banks to settle accounts across different ledgers through the use of their XRP cryptocurrency. This allows for much faster settlement times, providing a good solution to cross-border banking issues within the global financial ecosystem. However, Ripple face criticism for the way they operate as a company. It is believed that the founders are in possession of most of the 41 billion tokens in circulation, meaning the valuation is deflated. It is highly centralized - unlike Bitcoin that relies on a network of miners, in Ripple’s setup there are no miners; all 100 billion coins of XRP that exist were created when the network launched in 2012, and it is believed that the Ripple founders own 61% of the total supply. The fact that Ripple is centralised in this way, and is not permissionless, draw a lot of criticism from the wider blockchain community who believe it goes against the spirit of distributed ledger technology. Although there is a long list of very respectable banks (like Santander, Union Credit, and Axis Bank) that are planning to use Ripple now in the testing stage, most of the banks like Ripple as a platform than as a currency. This means adoption of the network may not affect token price. HYDRO, which entered the market in early 2018, is also aiming to solve issues around payments and has made significant progress. It has yet to face any harsh critcism, perhaps because it is still relatively new. 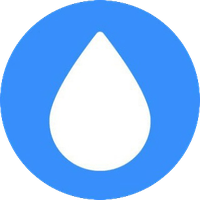 HYDRO, unlike Ripple, is a permissionless network, which goes down better with believers in blockchain and distributed ledger technology. HYDRO also has some excellent partnerships with tech companies like IBM and Google Cloud, among others. HYDRO can also serve banks with secure transactions, identity management protocols and even AI to suggest investment opportunities. HYDRO could potentially overcome Ripple and other projects in this space if it can navigate the regulatory hitches that other coins are facing, and providing a better, more comprehensive service to companies and consumers alike. Polymath and HYDRO (HAIL) are in the same security tokenization offering niche. Polymath is a platform like Ethereum, but instead of creating utility tokens like an ICO platform, it offers equity in a company – a model which has a well-established regulatory framework. Polymath focuses on KYC, AML, and other legalities to ensure regulatory compliance with securities laws. ICOs came under fire from government regulators around the globe in 2017 and 2018. The Hydro Hail phase focused on tokenization will use all the other components (SnowFlake, Raindrop, Mist, Tide, and Ice) already built in the project and combine them into a smart contract that locks it all on-chain. The UI for the Hail phase would be much more comprehensive, not just one for creating the tokens, but also a marketplace to find the deals, invest in them, etc., like Angel List. Hydro has a large advantage over existing security token projects because it has already built infrastructure, in the Snowflake phase, for on-chain KYC and AML that would be compliant in most areas. This can be combined with smart contract parameters that limit the persons that can buy and sell security tokens in the Hail ecosystem to a whitelist. Hydrogen's Atom platform also has integrations to large KYC APIs, and much of that off-chain infrastructure can be leveraged in Hail. 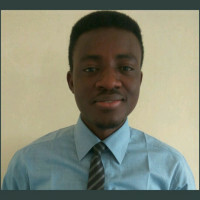 Just like Poly, HYDRO token will be the native token for platform transaction and management fees, KYC, storing and releasing contracts funds from escrow, but HYDRO seem to have the advantage to thrive, because ICE takes care of legal matters around KYC/AML, unlike Polymath which would have to go through external partnerships for the same. Investors sometimes prefer doing everything through one platform. It’s been dubbed the “Ethereum killer,” but this has yet to be proven. Trailed by different problems, chief among which is the issue of its centralization - it only has 21 nodes using a DPoS. EOS held a year-long uncapped ICO in which the project raised over $4 billion without a working product. It was only recently that EOS switched from the Ethereum blockchain, a competitor, to its own chain. Compared to how much it raised from its ICO, this project still leaves much to be desired despite its position in CMC ranking. This project seems to have stagnated It took a long time for them to come out of testnet. Tezos garnered a lot of attention during its ICO, especially due to its promise to create a new type of built-in consensus algorithm. Most notably Tezos (XTZ) is backed by well-known Silicon Valley venture capitalist Tim Draper. Much like EOS, Tezos was able to raise a lot of funds due to its ambitious project goal to create the world’s go-to blockchain protocol. How the fund manager with Tezos was able to give himself bonus worth $1.5 million is yet to be understood. It’s so easy for projects to become stagnant in the crypto sphere if there's any trace of shady dealings. There hasn't been much progress at all, but perhaps ICO investors and early adopters still believe it will go somewhere. It's not on the list but let's take a look at Tron anyway. There are many issues surrounding Tron, including a plagiarised whitepaper. While TRON Foundation and its creator Justin Sun boast of new apps switching from Ethereum blockchain to Tron’s protocol, dangerous developments are brewing below the surface. The community accuses TRON of unfair practices without any explanation. In fact TRON makes much more progress on social media than in reality, with over $1 million spent on advertisement. How long they are going to get their way in the market without any project landmark is what everyone is watching for. The bulk of what Tron claim is progress, are all still speculations. After every bear market people become wiser. It is unlikely that a new product entering the market now will do so well since there hasn't been much buzz around ICOs, but some very good projects under the radar now will surely have an opportunity to be seen given the right atmosphere. Will XRP survive? will it become the next Bitcoin as claimed by one of its chief? Will TRX become as great as Justin always boasts? Will Hydro overthrow Ripple? No one can say for certain, only the future will tell if these projects will survive the next sweep. More than sentiments, I believe companies will be judged on their own merits, and can be highly successful if Bitcoin is worth $1 or $1 Million. The world is moving towards less centralization of power, more transparency, and more ownership of data. To survive, enterprises need to become part of the solution, not continue to add to the problem. While it is unarguable that most top 100 tokens are overvalued, and without a product, purely built up on hype, it is important to know some projects may not have as high market caps but are definitely doing what it takes to bring crypto services to all and hasten the adoption process which in turn will lead to an increase in their market value over time. On this premise it suffices to say that the relatively new Hydro is undervalued and worth watching. 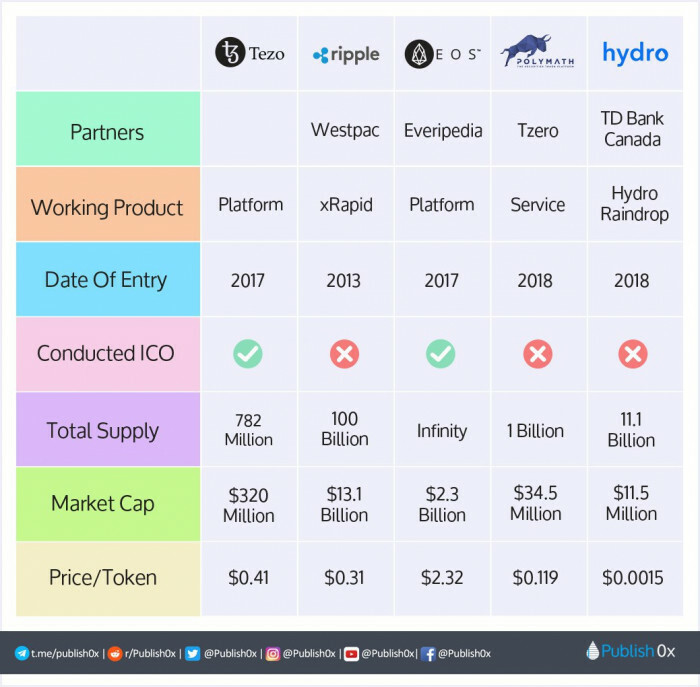 Hydro is in a better position and doesn't have a direct competitor since it has five phases in the ecosystem that solve different interconnected problems. Check here for the project phase.